The past 15 years have witnessed tremendous developments of new and modernized satellite-based navigation (satnav) systems, including GNSSs, regional systems, and space-based augmentation systems (SBASs). These have been enabled by the original designs of GPS and GLONASS and, in turn, have stimulated the design of satnav signal structures with different characteristics from those pioneer systems. Many of today’s signal characteristics were identified, evaluated, and recommended in a technical report written more than 40 years ago for the U.S. Air Force’s Project 621B, a program preceding GPS. Some of these concepts were not implemented in the original GPS signals, likely because technology was judged not ready at that time to implement them cost effectively. More recently, we have seen other satnav signal characteristics introduced, expanding and enhancing the “tool kit” available to today’s signal designer. Project 621B produced a report, authored by C. R. Cahn et alia and cited in the Additional Resources section near the end of this article, that captured much of the early thinking about what now forms the foundation of contemporary satnav signals — direct sequence spread spectrum (DSSS) signals transmitted from multiple satellites that allow passive receivers to measure time and frequency of arrival. These measurements, combined with satellite ephemerides and other information in data messages modulated onto the signals, enable receivers to use passive multilateration in order to estimate their location, velocity, and time. The satnav signals perform the essential function of linking clocks in the satellites to time kept in receiver channels. This article focuses on this form of satnav, omitting other approaches such as sidetone ranging and radio determination satellite service (RDSS). It describes how the original GPS and GLONASS signals fit 12 core categories of satnav signal characteristics and then reviews the Project 621B report, identifying characteristics being introduced in new and modernized signals that were originally conceived and analyzed more than 40 years ago. With that context, the article then discusses new and modernized satnav signal characteristics more fully and finally explores possible directions for future satnav signals. Twelve key types of characteristics describe the essential aspects of a satnav signal, from the original signals transmitted by GPS satellites to the most innovative concepts being conceived today. These characteristics provide a structured way to compare early satnav signals to those being implemented today, and to consider how satnav signal designs may evolve in the future. Receiver designers have developed increasingly sophisticated and capable ways of exploiting the original GPS signals to obtain impressive levels of performance. However, as this performance approaches physical limits associated with the original signals, it has become clear that new signal designs are integral to continued improvements in satnav performance. Over the past 15 years, such designs have been developed and are being fielded incrementally as modernized satellites are launched and entirely new systems become operational. These new designs represent a blend of 1) characteristics in the original signals, 2) concepts that had been identified during the design of the original signals but not adopted originally, and 3) more recent innovations. The resulting signals are more sophisticated, more flexible, and more capable, enabling receivers to provide new levels of performance. As signals and systems developed over the past 15 years become operational, we have an opportunity to look ahead and consider what further advances may be embodied in future satnav signal designs. But first, let’s take a look at the 12 key categories of satnav signal characteristics. Carrier frequency influences many attributes of satnav signals, from propagation behavior to effects of hardware imperfections and Doppler shifts to interference environment. 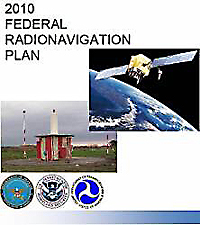 The motivations for placing original GPS and GLONASS signals in L band — such as good propagation characteristics, modest-sized antennas, low-cost radio frequency components — have made these frequencies attractive for other types of systems — e.g., radar, mobile telephony, other communications — that are increasingly using the band. The resulting increasing occupancy of L band has made it difficult to maintain a “quiet spectral neighborhood” for satnav receivers. Two different swaths of spectrum, upper L band (1559 MHz to 1610 MHz) and lower L band (1164 MHz to 1300 MHz), have been established for satnav use worldwide. The use of two and three distinct carrier frequencies in new and modernized systems enables improved receiver performance. Multiple systems have adopted signal designs that in some cases align signals on common carrier frequencies with signals from other systems and in other cases provide signals at distinct and diverse frequencies. Power can solve a myriad of challenges associated with propagation, interference, and designs of receive antennas and receivers. But higher received power requires higher transmit power from satellites, adding to the cost and complexity of satellites in order to produce higher radio frequency (RF) power or increased transmit antenna gain. Furthermore, higher satnav signal power can cause interference to non-satnav systems using the same or adjacent frequency bands, while also introducing greater multiple access interference (MAI) to satnav receivers. Polarization in satnav systems has been consistently right-hand circularly polarized (RHCP), with circular polarization to control losses from orientation mismatches between the incident electromagnetic field and the receive antenna and the right-hand characteristic to enable interoperability among different systems and signals. Multiple access has converged to code division multiple access (CDMA) for all new signals and new systems. However, different carrier and subcarrier frequencies are also used to reduce undesired spectral overlaps of one signal type by another. Spreading modulations have attracted considerable attention for their ability to influence performance in noise, interference, and multipath while controlling a signal’s interference to reception of other signals and its spectral occupancy, all while retaining the same carrier frequency for ease of implementation. Spreading codes are recognized for their beneficial effect on radio frequency compatibility, as well as avoiding receiver false tracking in high dynamic range signal environments. Data message structures affect positioning accuracy through their representation of clock corrections and ephemeris, and also provide supporting information. The latency of data message information needed for position calculation can contribute significantly to the length of time it takes a receiver to provide an initial fix, while the data rate affects the data demodulation threshold. Data message error correction and detection enables the receiver to correct some bit errors and, in many modern signals using cyclic redundancy checks, to detect virtually all bit errors — even those that cannot be corrected. This characteristic also affects the data demodulation threshold. Data modulation of the signal by the encoded data message bits commonly uses biphase keying, but one advanced signal design uses code shift keying instead. Different pilot and data components enable distinct designs tuned separately for signal tracking and data demodulation, respectively, avoiding some of the inevitable compromises and conflicts of trying to serve both functions with a single signal component. Overlay codes, also known as secondary codes or synchronization codes, extend the effective length of spreading codes to reduce MAI and improve synchronization at bit and message levels. Multiplexing describes how different constituent components and signals are combined into a composite signal that modulates an RF carrier. Power amplifier efficiency, effect on constituent signal characteristics, diversion of transmitter power into intermodulation components, and spectral content of the intermodulation components are among the considerations involved. These 12 signal characteristics can be used to describe satnav signals, as well as to define a framework within which to discuss trends in satnav signal characteristics. GPS and GLONASS initially provided an open civilian signal in upper L band, with military signals in upper L band and lower L band. The frequencies employed are well within the RF bands currently allocated by the International Telecommunication Union (ITU) for radionavigation satellite system (RNSS) use. GLONASS carrier frequencies were selected to be different enough from GPS frequencies that the original GPS signals have essentially no spectral overlap with the original GLONASS signals. Original minimum specified signal power levels were established to provide more than adequate performance in thermal noise environments, including effective isotropic radiated power (EIRP) that accounts for two decibels of excess atmospheric losses along with losses due to polarization ellipticity of the transmitted signal. Since the original GPS and GLONASS signals used distinct frequency bands and the number of satellites planned for each constellation was modest, MAI was insignificant under most conditions. For multiple access, GLONASS adopted frequency division multiple access (FDMA) while GPS employed CDMA, presumably based on different tradeoffs of similar technical factors. Given the immaturity of technology and the lack of motivation for anything more sophisticated at the time, the GNSS system designers selected biphase shift key spreading modulations with rectangular chips (BPSK-R) with relatively low chip rates for the civilian signals. Short spreading codes with one-millisecond duration were selected for the civilian signals, and both civil and military signals were designed with rigidly structured data message formats. The original GNSS signals have relatively weak message error correction; some receivers compensate by comparing clock and ephemeris data demodulated from two sequential messages. Data transmitted at 50 bits per second (bps) are biphase-modulated onto the entire signal; so, receivers must track the data-modulated signal. Even though the short spreading codes repeat 20 times in a data bit duration, the original GPS signals did not employ overlay codes to smooth spectral lines and remove bit boundary ambiguities. Given the need to transmit data components for — at most — two signals on a given carrier, carrier phase multiplexing was a simple and effective choice. In spite of the novelty of using DSSS and digital communications techniques, the original signals continue to provide exceptional performance decades after they were designed. Project 621B, undertaken in the 1960s and early 1970s, extensively examined candidate signal characteristics and associated receiver design approaches for what would become GPS. During the project, many options were identified and evaluated through analysis and computer simulation. The extensive report, referenced previously, documents this wide-ranging and thorough evaluation of satnav signal structures. use of separate pilot and data components for more robust signal tracking. Presumably the decision not to include them was based on perceived limitations of transmitter and receiver technology in the 1970s. The Project 621B report also makes other contributions. Among these is deriving the widely-recognized six-decibel carrier tracking threshold improvement from using a coherent phase-locked loop on a signal component with no data modulation, relative to using a Costas loop on a signal component that is biphase data modulated. The report also advocated receiver processing that employs carrier aiding of the code-tracking loop and recognized that short C/A spreading codes could cause cross-correlation problems. making other findings and recommendations concerning signal designs and receiver processing that are now widely accepted and widely used throughout the satnav community. The foresight of Project 621B pioneers more than 40 years ago is impressive; their contributions to modern satnav signal structures should continue to be recognized. A decade ago, the world’s GNSS systems consisted of one single fully functional system (GPS) and a single partly functional system (GLONASS), with fewer than 40 operational satellites in total. 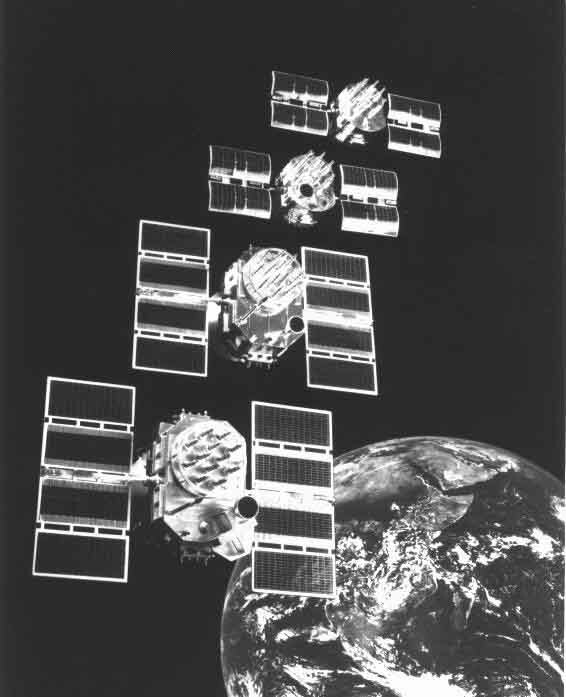 Each satellite transmitted three signals, only one of these intended for civil use. Today GPS and GLONASS constellations total approximately 65 total satellites (operational and reserve). Modernization of their space and control segments is well under way. The newest satellites transmit coded civil signals at three carrier frequencies, and next-generation satellites will each transmit eight or more military and civilian signals, most with separate pilot and data components. The BeiDou regional system is operational, and China is launching satellites that will lead to a full-fledged global system. Europe has launched four in-orbit validation satellites as the first step to the operational global Galileo system, and Japan’s Quasi-Zenith Satellite System (QZSS) is operating its first satellite as a prelude to a regional system. The number of operating satellites from these systems is more than double that of a decade ago, and the number of operating satellites in another decade could double again. SBAS systems have also increased significantly, with the number of SBAS satellites more than doubling over the past decade. New SBAS satellites transmit signals on two carrier frequencies. Much of the past decade’s signal structure developments have been guided by collaborative efforts to achieve both compatibility and interoperability among multiple satnav systems. Compatibility —ensuring that additional signals and systems do not unacceptably degrade use of current signals and systems — has been the primary concern. Interoperability — making it possible to benefit from use of additional signals and systems — is also being achieved. Among the signal characteristics considered in evaluating the degree of interoperability of satnav systems are: reference frames, center frequencies, spectra, spreading modulations, spreading code family, and data message structure and encoding. In general, signals that share common characteristics are more interoperable, and commonality of characteristics near the top of this list is more important than those near the end. Already, an increasing number of mass market receivers use signals from multiple satnav systems at different carrier frequencies within upper L band. Figure 1 (see inset, above right) shows the prospective signal structures in a time frame near the end of this decade. Many open signals share common carrier frequencies at 1575.42 MHz and 1176.42 MHz, with common spectra as well, facilitating dual-frequency interoperability of multiple systems. More recently, spectrum diversity has been added to compatibility and interoperability as a third consideration. Placing signals at carrier or subcarrier frequencies different from other signals decreases the likelihood that intentional or unintentional interference would affect all signals and increases the opportunity for a receiver to employ diverse signals in order to “operate through” an interference event. Diversity tends to enhance compatibility as well, although the challenges of implementing wider RF bandwidths in antennas and receivers, in addition to needing to use multiple RF front ends in a receiver, must be considered. Some modernized and new signals reveal contrasting design philosophies. For instance, several modernized GPS signals are designed for specific user groups: the L2C signal is intended to meet the needs of commercial users, while the L5 signal is designed to meet transportation safety-of-life requirements. Key aspects of the current design for Galileo’s E1 Open Service (OS) are driven by the need to provide 125 bits per second data rate based on requirements for the former Safety of Life (SOL) service — now “reprofiled” as an Integrity Monitoring Service — even though data message robustness is degraded as a result. In contrast, the GPS L1C signal design includes a combination of broadly optimized characteristics and flexible features that enable different types of uses from the same signal. High-accuracy receivers can benefit from the time-multiplexed binary offset carrier (TMBOC) spreading modulation, while narrowband receivers can process TMBOC as a BOC(1,1) spreading modulation. Similarly, receivers seeking to read clock corrections and ephemeris data from the L1C data message in challenging conditions can coherently combine data symbols from sequential subframes of the data message to obtain a lower data demodulation threshold. Moreover, receivers that do not need the data message from the signal itself can merely process the pilot component, which has 75 percent of the signal power. A growing challenge is finding room for additional signals in upper L band. As shown in Figure 2, much of upper L band is filled with existing or prospective signals, making it difficult to find any “white space” in this band. One way to quantify spectrum utilization is by summing the number of satellite-signals, with each satellite-signal consisting of one signal type (including multiple components if appropriate) transmitted by one satellite. Table 1 summarizes the count of satellite-signals, using existing or announced signal designs for each system, and the number of satellites based on filings at the ITU. Some uncertainty is associated with the number of satellites that will eventually populate the various constellations, but the numbers are representative. GPS and GLONASS contribute more satellite-signals than new systems because each of those systems’ satellites transmits the original signals already being broadcast, along with modernized signals that will be increasingly used in the future. A total of 422 satellite-signals is projected for operation in the upper L band, with an average of 8.3 satellite-signals/MHz across the 51-megahertz bandwidth. The RF spectrum between 1559 MHz and 1594 MHz will contain 314 signals, or 9.0 satellite-signals/MHz, while 1594 MHz to 1610 MHz is relatively underutilized, with only 108 signals or 6.8 satellite-signals/MHz. Although as has been said, “it is difficult to make predictions, especially about the future,” some conjectures can be made about future satnav signals. Satnav systems, signals, and receivers will probably continue to be pressed for further improvement in areas that recent signal and receiver designs are attempting to address. Because in-band and out-of-band interference is not likely to diminish, reliable and continuous operation in various interference environments will remain a continuing and even increasing priority. Users will also seek improved performance in other challenging environments, including deeper indoor areas and urban canyons with increasingly limited views of the sky. Some applications will require smaller positioning errors not only in the presence of multipath, but especially in the presence of combined shadowing and multipath. Signal designs alone cannot solve these issues, but they can contribute to solutions. Although wider bandwidth signals tend to tolerate in-band interference better, narrower bandwidths with center frequencies near the center of protected bands enable receiver designs with sharper and deeper front-end filter cutoffs, making user equipment less sensitive to out-of-band interference. Higher signal powers and lower center frequencies can help signals to penetrate buildings, while an increased number of satellites is crucial for better performance of receivers with limited view of the sky. Will satnav systems employ different signals, each specialized for a different type of user (e.g., aviation, mass market, high precision), or will they employ multi-use signals with a combination of broadly optimized characteristics and flexible features that enable different types of uses from the same signal? Will satnav systems fully embrace comm/nav integration and transmit signals with no data message so that the receiver can use all the signal power for coherent tracking while obtaining information normally found in the data message from the Internet, other wireless communications links, augmentation signals, or other satnav signals? Will advances in receiver hardware render moot previous efforts to achieve interoperability through common carrier frequencies, instead efficiently and effectively combining measurements from different signals at different carrier frequencies within the same general frequency band? Table 2 summarizes the evolution from the original signals to today’s signal designs, also identifying possible changes in next-generation signals. One option being considered is the use of higher frequency bands to avoid the spectral congestion in L band. Recent ITU action has opened up the frequency band 2483.5 MHz to 2500 MHz for RNSS; BeiDou uses this band for its RDSS, and the Indian Regional Navigation Satellite System (IRNSS) has indicated plans for satnav signals in this band. C band (5010 MHz to 5030 MHz) has also been considered. However, both of these bands are narrow, limiting the number of satellite-signals that could be placed in the band while maintaining compatibility and also limiting the receiver performance that would be available. Furthermore, these higher frequencies magnify phase noise and other signal imperfections, as well as the effects of receiver motion such as Doppler shifts and Doppler rate. Propagation losses from rain, foliage, and building materials are significantly larger at C band than at L band. In order to provide equivalent performance margin to today’s L-band signals, the associated additional losses at these higher frequencies — combined with the increased free space propagation loss — would require a combination of increased transmit power and receive antenna arrays with many dozens of elements, accompanied by multiple RF front ends, analog-to-digital conversion, and signal processing circuitry to form and point beams. Finally, standalone receivers using C band or S band would still need a second signal at a distinct frequency (likely L band) from the same satellite in order to remove ionospheric errors that otherwise could approach or exceed a meter. Opening new spectrum for satnav in L band or lower S band would be advantageous, but the current emphasis on allocating any available spectrum for mobile wireless use, and the challenges with even protecting use of currently allocated RNSS bands, makes such new spectrum allocation for satnav purposes unlikely. While modest increases in minimum received signal power have been achieved with modernized signals, the need to share spectrum will limit further increases. Transmitting additional signals using left-hand circular polarization would reduce MAI, but polarization isolation would be imperfect due to ellipticity of transmit and receive antennas as well as polarization reversals due to reflections. Using both LHCP signals and RHCP signals would also require slightly more complicated antennas. Spreading modulations have already seen great innovations and advances over the past 15 years, enabling better spectrum sharing and improved multipath mitigation and code tracking in the midst of noise and interference. We have yet to see whether further improvements will be found that are compatible with practical constraints. At one point it was thought that very wide bandwidth spreading modulations would be used, but the factors of practical implementation on satellites and receivers, combined with limited spectrum, make this prospect very unlikely, at least in frequency bands currently being discussed. Spreading codes have also matured. Although performance of current spreading codes falls significantly short of the Welch Bound on correlation sidelobe levels, no approaches are evident for closing this gap. Data message structures have continued to evolve. Recent discussion of the need for increased signal assurance has led to proposals for digital signatures or other authentication features in data messages. Before attempting to implement such measures a number of considerations would need to be assessed, including possible degradation of other signal performance measures, the suitability of such approaches in a broader information assurance context (including possible increased vulnerability to denial of service attacks), and the potential for obtaining signal assurance without functionality in the data message. Opportunities remain for significant improvements in data message error correction used on many of today’s new and modern signals. Half-rate constraint-length 7 convolutional coding is used on many of these signals, even though more capable error control coding approaches such as turbo codes and low density parity check (LDPC) codes are increasingly practical to implement. Using more powerful error correction codes can lower the data demodulation threshold by several decibels, providing multiple opportunities for enhanced signal designs, such as increasing the fraction of power used for the pilot component, as in the GPS L1C design, which uses LDPC codes. The original GLONASS civil signal used a meander sequence as a rudimentary overlay code to reduce the periodicity of the repeating spreading code within a data bit. More capable overlay codes are now used extensively when underlying spreading codes are too short. Neither needs nor opportunities for further enhanced overlay codes are evident. Multiplexing has been a very active and important topic recently, and further advances are likely. Optimized M-ary phase modulation approaches using techniques such as Phase-Optimized Constant-Envelope Transmission (POCET) take advantage of signal generation hardware that can transmit large numbers of different phase values. POCET and other approaches select optimized phase values to obtain higher efficiency through lower fractional power expended in intermodulation products, while still producing constant-envelope composite signals. Such advances maintain the advantages of a single RF transmitter chain and a constant-envelope composite signal, while placing different signals at different frequencies. The first application of these developments may be BeiDou satellites that transmit the then-legacy Phase 2 civilian B1 signal at 1561.098 MHz while also transmitting the more advanced and more interoperable Phase 3 civilian B1C signal at 1575.42 MHz. A remaining signal design question involves the original signals on GPS and GLONASS. As new and modernized signals become operational, and receivers are fielded to take advantage of the resulting rich signal environment along with more advanced receiver technology, will the original signals be retained as is, modified, or phased out? That question remains open. Satnav signal structure development has been an essential contributor to the success of today’s satnav systems and the prospects for further enhancements. Original signal designs have provided great capability, amply exploited by today’s receiver developers. new developments such as advanced spreading modulations and signal multiplexing techniques. These advances in signal designs have been driven by and enabled by improvements in receiver processing techniques and technologies. Four GNSS systems are either in operation or being fielded, along with several regional satnav systems and numerous SBASs. The modernized signal designs for the original GNSS systems as well as the new signal designs for new GNSS systems provide receiver designers with tremendous opportunities to extract greater performance from user equipment and enable receivers to operate in increasingly stressed conditions. These new and modernized signal structures also reflect international successes in achieving compatibility and interoperability among signals and systems. Both opportunity and uncertainty await us in the future. Will developments of satnav signals further revolutionize positioning, navigation, and timing (PNT), or will satnav be viewed as a mature commodity, with the future innovations focused on applications, augmentations, and complementary technologies for PNT? The challenges are there, and the opportunity exists to apply, enhance, and introduce signal structures to meet these challenges. This work was supported by the Air Force under contract FA8702-13-C-0001. The contents of this material reflect the views of the author. Neither the Global Positioning Systems Directorate nor the U.S. Air Force makes any warranty or guarantee, or promise, expressed or implied, concerning the content or accuracy of the views expressed herein. Thanks to Dr. Christopher Hegarty for making the author aware of the Project 621B Report. Cahn, C. R., and M. M. Goutmann, and G. P. Haefner, “System 621B Signal Definition Study,” Technical Report Space and Missile Systems Office TR-72-248 Vol. 1, October 1972.